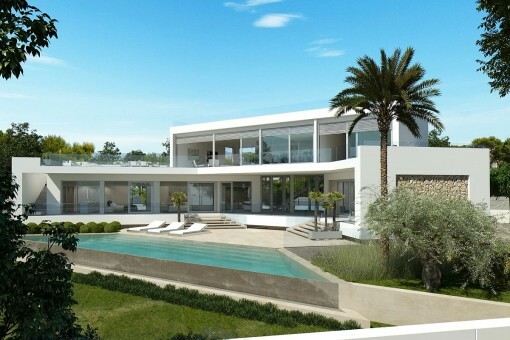 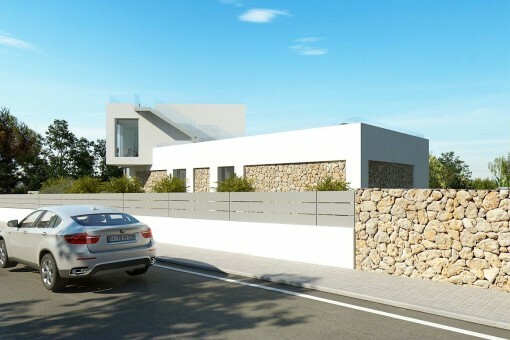 This modern villa is situated on the first sea line in Port Adriano and is characterized by its unique location and the use of only the finest building materials. 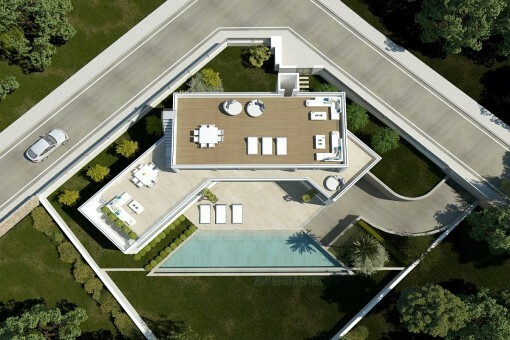 Its modern building-style combined with Mediterranean elements bestow much charm and style upon this dream property. 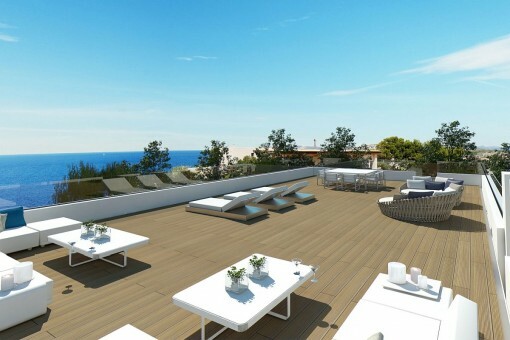 It is built on 2 levels plus a roof terrace which provides wonderful views of the sunrise and the sunsets. 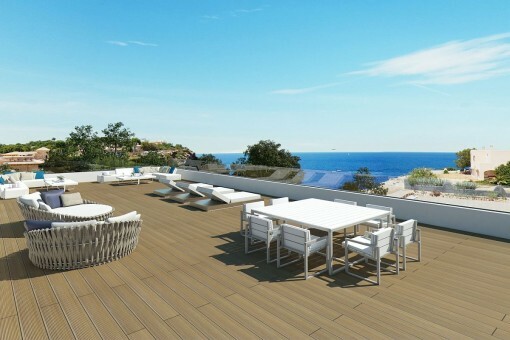 On the upper floor is the living and dining area with open kitchen, large window fronts and extensive terraces with sea views. 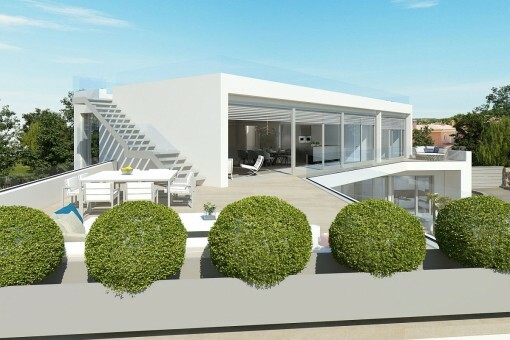 The lower level houses 4 double bedrooms each with a bathroom en suite and access to the pool and the garden. 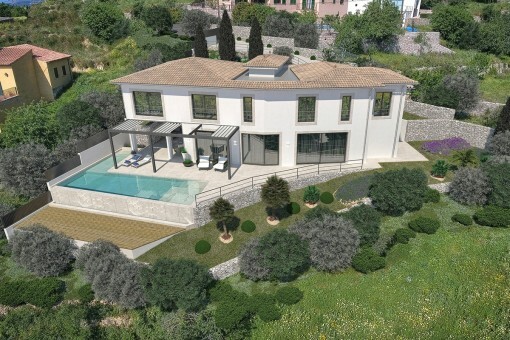 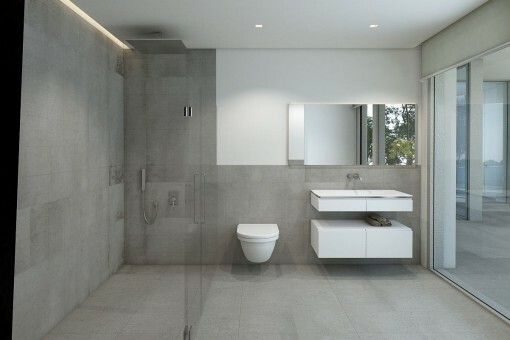 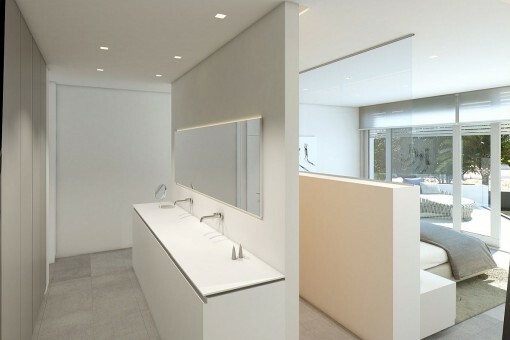 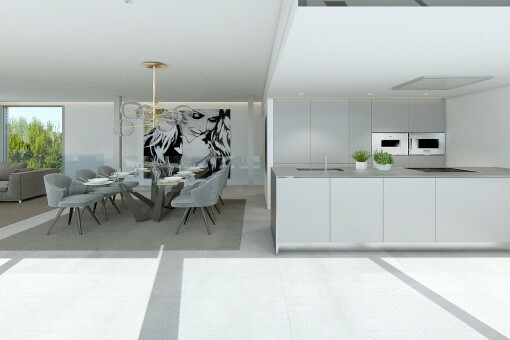 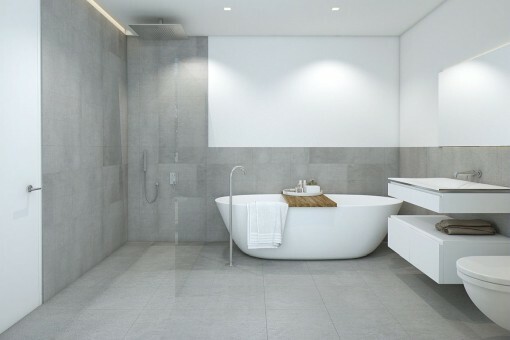 Further features include a 3-car garage, underfloor heating with heat pump and hot/cold air conditioning. 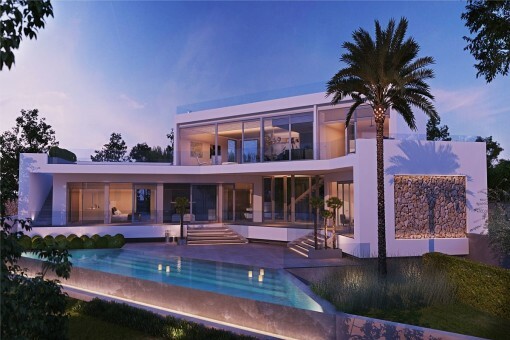 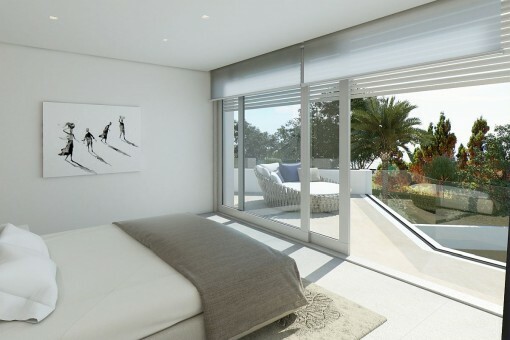 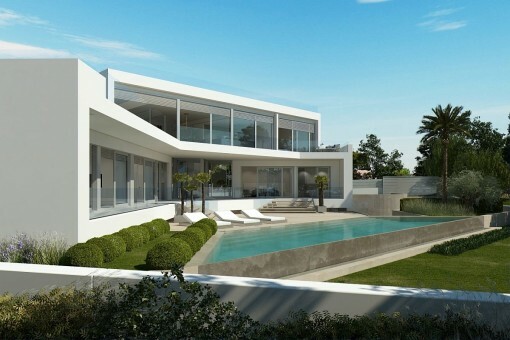 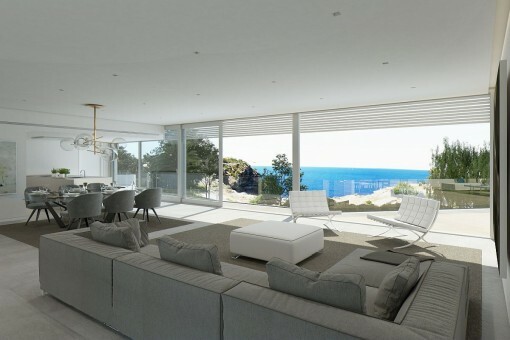 I'm interested in: Modern-style, sea view dream-villa in El Toro (Objekt-Nr.111281). 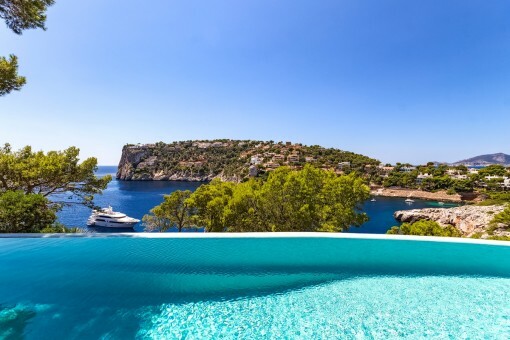 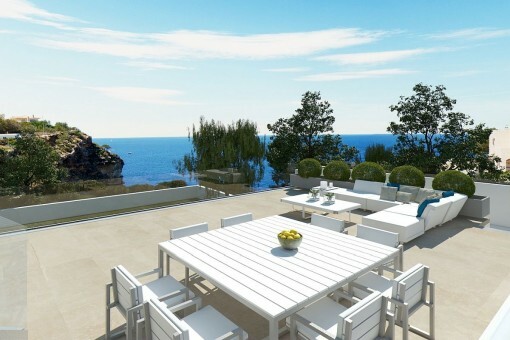 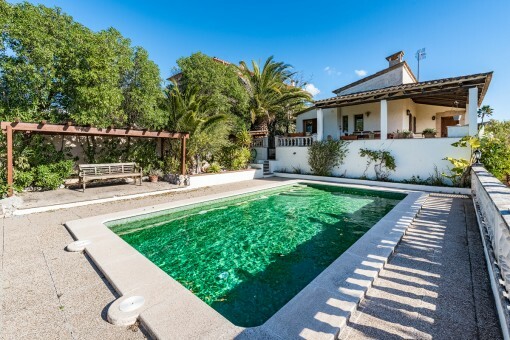 you are reading: Modern-style dream-villa in first sea line in El Toro - purchase · Porta Mallorquina Real Estate Rating 4,8/5 by 200 testimonials.